Patchwork Zombies are an Enemy in The Surge. 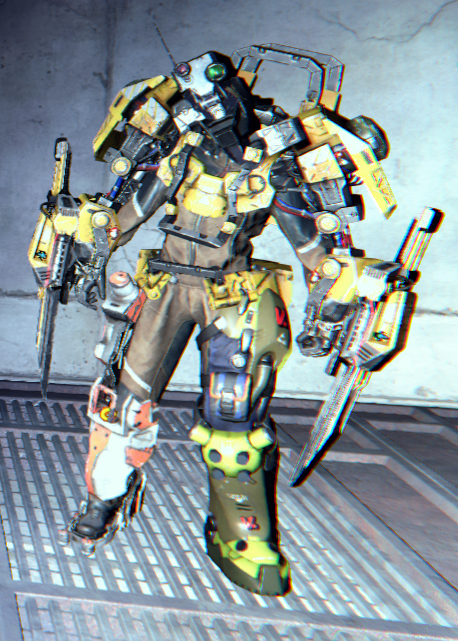 Patchwork Zombies will be wearing mismatched sets of armor - MG Cerberus legs, RHINO arms, PROTEUS heads - you name it, they can spawn with it. Patchwork zombies are incredibly dangerous - they're very fast and hit extremely hard, and have VERY fast attack speeds, regardless of what weapon they're using. Getting one that's got a normally slow Heavy-Duty weapon can be a serious fight. Because they're wearing a "Patchwork" gear set, they tend not to have high stability, so you can use weapons with high impact against them to keep them from from getting in a lot of hits. Patchwork zombies do not respawn after having been killed, like the CREO Security Guards in Central Production B and the Smelter Bots. Patchwork zombies do not have a "locked-in" set of gear that they spawn with, so you can reset them by exiting to the main menu and reloading if you're trying to get a specific weapon or Gear piece off of one of them - do not kill anything or bank your tech scrap, or it will "lock" the one you're trying to reset. You can avoid lock-in by using alt+F4 to crash the game (on windows) and back up your save, and then if they get locked in, you can reload the backed-up save file. Some of their weapons are EXCEEDINGLY rare - it can take many many reloads of a save to get one to spawn with the weapon you want, and some of them don't change weapons on a reload or after resetting at Ops.